Another good week to be out and about in the Twin Cities. We’ve got some fine visiting artists, including the legendary Van Dyke Parks, JaLaLa, a trio of female jazz vocalists, and a Grammy-winning zydeco performer. Plus, we have a number of very interesting resident artists at work this week. Radio Joe & the JazzBos @ The Eagles Club #34, Minneapolis. 8pm. ($5) Joe Demko on vocals & guitar, Bruce Wintervold, vibes; Keith Boyles, bass; Tony Guscetti, drums. This is an all-ages swing dance party, though the club has a bar, for which of course, you will need an ID. Bonus: Nice dance floor! Brian Grivna Quartet @ The Artists’ Quarter, Saint Paul. 9pm ($5) A rare club appearance by Grivna, whose alto playing is melodic, imaginative, and swinging. He’s played with Buddy Rich, and has played in the orchestras of many local performing venues, such as the Guthrie, the MN Orchestra and others. Todd Clouser’s A Love Electric @ The Nomad, Minneapolis. 9pm. (No Cover) Clouser has discovered that the sound of his group, featuring electric guitar and trumpet, has lots of appeal, especially to a younger audience. His latest CD, “20th Century Folk Songs” has a broad interpretation of folk songs, so don’t let the title fool you. This is energetic jazz. John Raymond Quintet CD Release @ The Dakota, Minnneapolis. 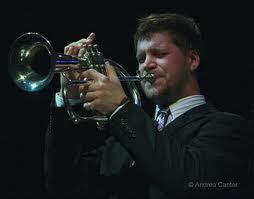 7pm ($10) Even as a high school student, trumpeter Raymond had a great sound and played in interesting bands. He left the Twin Cities for New York a few years ago after graduating from the music program at Eau Claire. Now, after gigging in New York, Raymond’s released an album entitled “Strength and Song,” co-produced by trumpet great Jon Faddis. It’s a contemporary, accessible, and filled with strong songs, if you’ll pardon the puny pun. Pete Whitman’s X-Tet @ The Artists’ Quarter, Saint Paul. 9pm ($5) If it’s the last Thursday of the month, than saxman Whitman and nine of his talented musician friends are holding court at the AQ. Just because it’s a monthly gig don’t ignore it and say you’ll go another time. The power and artistry of this group is one to behold. Merciless Ghost @ The Black Dog Coffee & Wine Bar, Saint Paul 8pm (Tip Jar) The ‘Dog continues its booking of all kinds of music. Tonight they feature George Cartwright, Josh Granowski, and Davu Seru listening intently to each other as they improvise original music. Good Life @ The Artists’ Quarter, Saint Paul. 9pm ($10) The name is new, but the players are among the best of Twin City jazzers. What we have is two (or maybe two and a half) generations of players: Brandon Wozniak, alto; Peter Schimke, piano; Billy Peterson, bass; and Kenny Horst, drums. Ticket to Brasil @ The Loring Pasta Bar, Minneapolis. 6pm (No cover) Are your hips twitching? Do they want to sway? Are you longing for some sensuous music? Ticket to Brasil will meet your needs, at least til about 9pm. At 10pm a Salsa Deejay takes over and the crowds spill out onto the street. Sophia Shorai @ The Lexington, Saint Paul. 6:30pm (No cover – $20 minimum per person at a table) Though Shorai has been effective in any room where I’ve seen her, the wood-paneled walls and clubby atmosphere of the Lex’s Williambridge Room seem perfectly suited to the sweet seductiveness of her voice. Taking a table is worth the minimum, as the bar area gets a bit chatty at times. Hear Sophia on her MySpace page. JazZen @ The Hat Trick Lounge, Saint Paul. 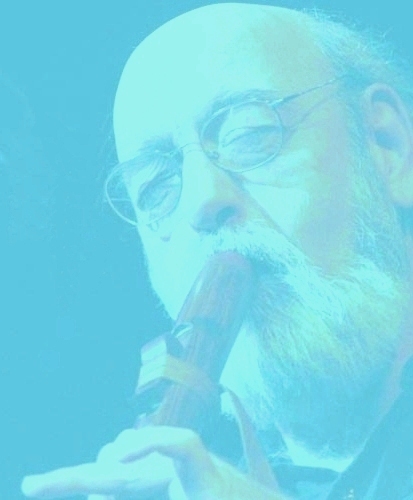 9pm ($5) A group built around the flute work of Bob Fantauzzo, who works with various wooden flutes from Native American cultures and around the world. Though the sound of wooden flutes can inspire meditative and soothing moments, JazZen inserts twists and turns via percussion, and electric cello. JaLaLa @ The Dakota, Minneapolis. 7pm ($40) Janis Siegel, Laurel Masse, and Lauren Kinham in close harmony. Siegel is a member of Manhattan Transfer. Masse was a founding member of the group. Kinham is a member of New York Voices. Sounds heavenly. The video hardly begins to show their talent. Tou Saiko Lee & his O.G. (Original Grandma) @ The Black Dog Coffee & Wine Bar, Saint Paul. 7:30pm. The Saint Paul Almanac presents an event for those interested in the spoken work and in cross-cultural understanding. Tou Saiko Lee is a Hmong Rap/Spoken Word artist. His grandmother noted that his rapping has similarities to traditional Hmong poetry, and so for the last year or two, they have occasionally collaborated. Tonight they headline the Lowertown Reading Jam, curated by Lee, entitled “Stories from the OGs: Honoring the Original Generation.” Other participants include b-girl Chilli, black/Anishinabe poet Louis Alemayehu, and Somali artist Abdifatah Farah Ali. Claudia Schmidt CD Release Party @ Open Eye Figure Theater, 506 East 24th St, Minneapolis. 7:30 pm ($20) Red House Records is releasing “Bend in the River” a collection of music culled from five of Schmidt’s albums for the label. Dean Magraw (guitar) and Marc Anderson (percussion) will be on hand to help out. Though she started out as a folk singer (I recall interviewing her in 1987), Schmidt is equally effective singing jazz and blues. Chubby Carrier @ Famous Dave’s, Uptown Minneapolis. 9pm ($15/$20) Do ya have any zydeco shoes? You’ll need ’em to keep up with the insistent, chugging sounds of Carrier, a Grammy-Winning, third generation purveyor of two-steps, waltzes, and funky zydeco. STAX Tribute @ The Parkway Theater, Minneapolis. 7pm. ($12 – $40) A night of music featuring a six-piece horn-driven band led by Jimi “Prime Time” Smith, and some of the best soul singers in the Twin Cities area. If you’re a fan of Booker T, Isaac Hayes, Sam & Dave, The Staples, et al, this is right up your alley. Reverend Raven & the Chain Smokin’ Altar Boys @ Minnesota Music Cafe, Saint Paul. 8pm ($10) Swaggerin’ straight-up blues from the Reverend, featuring his stinging guitar, along with some smokin’ sax, and hot harp. The Swamp Kings bring some Louisiana sounds to the opening. L’Assassins Record Release and Pajama Party @ Lee’s Liquor Lounge, Minneapolis. 9pm ($6) Get yer pomade out, those pointy dancin’ shoes, and your cat clothes, cuz KFAI’s Freewheelin’ is presenting a night of red hot music from this female rockabilly band and more. With the Reckless Ones and Violent Shifters. This ain't Frankie & Annette's Pajama Party. Pajamas have been called for, which should make this a very colorful evening, and perhaps reveal more tatoos than usual. Tatters, the retro/vintage clothing store will have some pjs available for those whose wardrobe isn’t sufficiently colorful for the event. Hookers $ Blow @ Crooked Pint Ale House, Minneapolis. 9pm ($5) Yeah, it’s a cover band, but that’s the point. Dance grooves from the 60s and 70s R&B, performed by a veritable who’s who of performers from bands around town. dVRG @ The Red Stag, Minneapolis. 10:30pm (No Cover) R&B and soul flavored songs from dVRG on keys and vocals, Jacob Hanson on guitar, and Joey Van Phillips on drums. Devon Gray (dVRG) is the pianist for Heiruspecs, does jazz gigs, and collaborates with folks from throughout the Twin Cities music community, so you’ll never no who will drop by. Robb Henry Trio @ The Red Stag,NE Minneapolis. 9pm. (No Cover) Henry, guitar; Jim Chenoweth bass; and Ben Kaplan, drums, play a blend of instrumental originals with a melange of influences, from psychedelic Brit-rock, to Henry Mancini, Jimi Hendrix, and more. Ruthie Foster and Paul Thorn @ The Dakota, Minneapolis. 7pm ($35) Gospel-infused blues, folk and R&B from this pair. Foster will be appearing with a band, as she has in the past. Thorn will be solo. Both come from a Gospel tradition, though they aren’t bound by it, and both and are great storytellers. A pretty special evening. Parks and the head Beach Boy, many years ago. Van Dyke Parks @ The Cedar Cultural Center, Minneapolis. 7:30pm ($25) Parks has been a composer, arranger, producer, musician, author and actor for about 50 years. 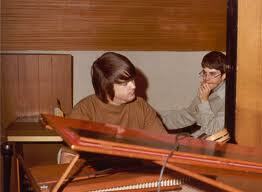 He is best known as Brian Wilson’s co-conspirator, writing lyrics for the Beach Boys’ “Smile,” and for his landmark solo albums “Song Cycle” and “Discover America.” Younger fans may know him from his orchestral arrangements on Joanna Newsom’s “Ys” LP, though he’s also worked with artists ranging from Toad the Wet Sprocket, to Silverchair, to Phil Ochs, the Byrds, and Bonnie Raitt. From 6pm to 7:30pm he’ll do an in-store appearance at Treehouse Records on 26th & Lyndale, where he’ll talk a bit and sign records, etc., before heading to the Cedar to perform. This entry was posted on Wednesday, March 28th, 2012 at 10:33 am and is filed under Weekly Preview. You can follow any responses to this entry through the RSS 2.0 feed. You can leave a response, or trackback from your own site.